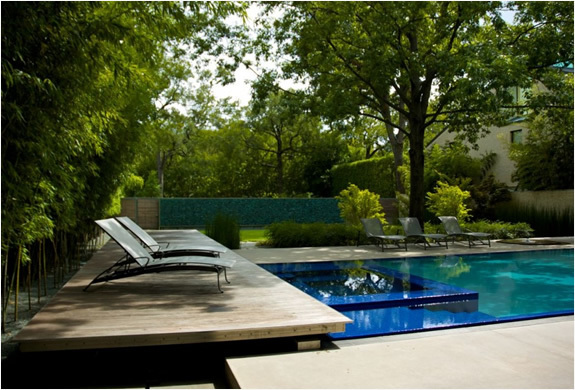 The House in the Garden is a free-standing addition to an elegant modernist house on a adjointing lot. 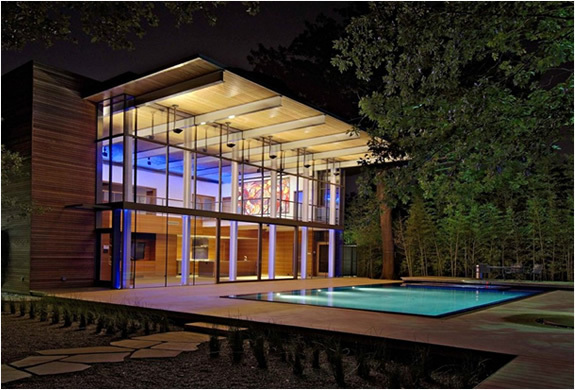 Located in Texas this modern two storey box features a south façade glazed in framless, insulated glass units incorporating two 8 foot wide sliding doors. 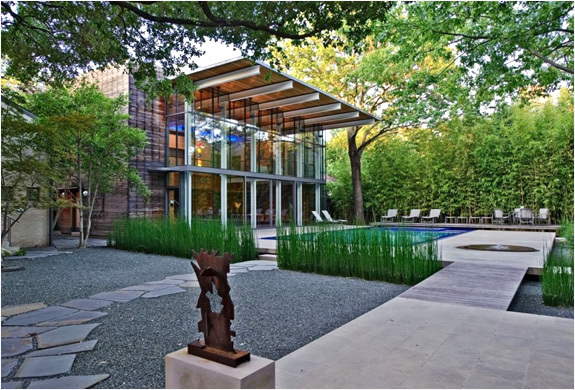 There is a guest bedroom and painting studio upstairs, and downstairs the concrete floor and exterior deck provide a seamless transition from the living room to the garden. 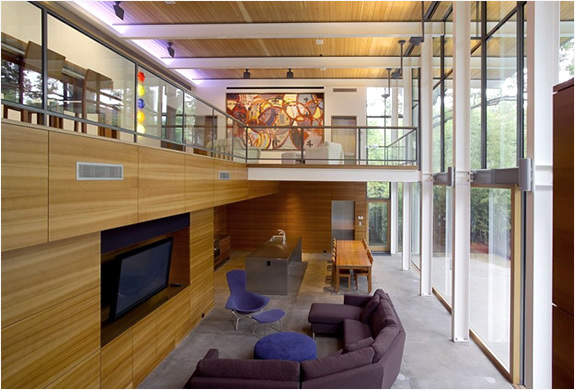 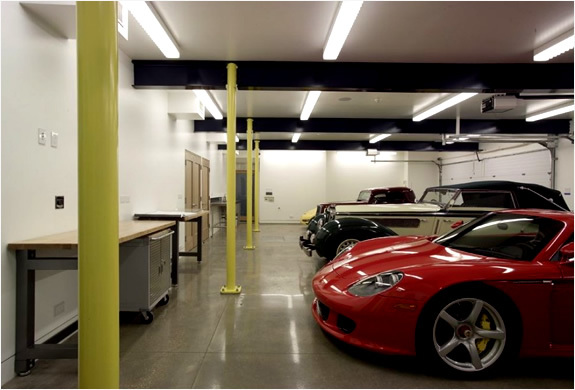 With its 5250 sq.ft the house also provides ample space for a large collection of art and automobiles.